Replacing your home’s roof is a decision that doesn’t come around that often. That’s why if you’re in this situation, you want to select the material that will benefit your home the most. Most homeowners will agree that a metal roof is the way to go. This material has been surging in popularity due its appealing looks and low maintenance. Guaranteed Roofing in Jenks, OK, knows all about this option and how it can benefit your home. With two decades of experience, they have fine-tuned their craft and become the leading experts in the community. One of the many benefits of this roofing material is that it comes in a wide variety of styles. Not only does it come in in the traditional paneling, but metal can also be transformed to mimic shingles, tile, or shakes. To add to the variety, this material comes in a myriad of colors, ensuring that you’ll never have to worry about it matching your home. A metal roof can be considered a premium addition to your home. Despite coming with a higher cost of installation, it will prove to be much more valuable than other options over time. Metal roofing is about as maintenance-free as possible. It’s a sturdy material that can stand up to potential harsh weather, which means you’ll have less to worry about. An additional benefit of this roof material is that it works as a great insulator. The metal in your roof will actually reflect the UV rays, helping your home stay cool in the summer and toasty in the winter. By standard, a metal roof will last you anywhere from 30 to 50 years. This is outstanding compared to the average 17-year life span of other roofing materials. 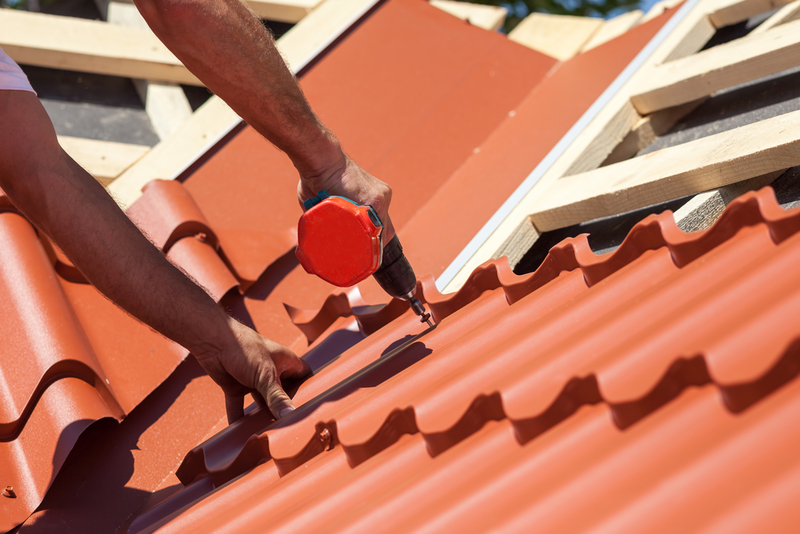 Metal is also extremely durable, which will prevent you from needing a costly roof repair. All that’s required for you to maintain its well-being is a semi-regular cleaning, which you can do with a water hose. If you’re facing the tough decision of what to do with your roof replacement, get in touch with the roofing contractors at Guaranteed Roofing in Jenks by calling (918) 451-0119. You can also find more information on their services by visiting their website.